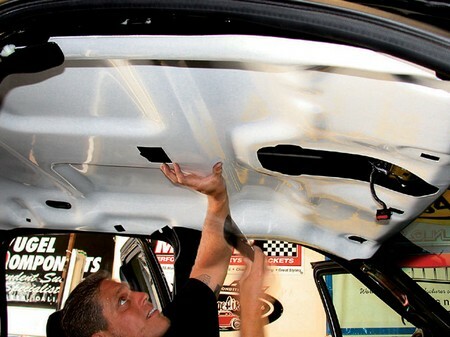 When you have a truck then you will know that your headliner can be damaged and that it might need a few repair work done on it before it has run its course. If you do think that you have some damage to your headliner then you need to start to repair the damage. You could try to repair it first off or you could try to replace the headliner. You could try this yourself which could be less costly to you. Here are a few steps for you to try yourself. You are going to have to take off your old liner to put your new one in so to do so you are going to have to take your time and care when you remove your old liner. You need to remove your trim first so you can find your bezel and remove that also. You will need to take your trim off now so you have to locate the screws keeping it in place and remove them or if you have a fixed trim then you could just pull it off. If you do have some trim then you should be going very carefully with this part. You are going to have to get some tools so that your trim isn’t damaged so you could get a screwdriver as you try to remove your trim. Now this is going to be frustrating because it will take some time because you need to go slow but you will get there eventually. Your trim is now gone so you are try to start with your headliner; you should try to remove this by one piece at a time. You need to be careful to remove this. Your second step will be to prepare; your old headliner is now out so you can see your composition board now the fabric is now gone. You can just yank off the material and it doesn’t need to be all gone just most of the old cover off but you can do this with your hands so this is the frustrating part. You don’t however want your board damaged so do be careful unless you want to buy a new one. Now you can either choose with some upholstery which could be the easier choice because this is special fabric which will be foam backed. You are going to have to use this to start connecting this to your headliner with cement which will go to your composition board but this way is going to be a very long process however. Your last step will be to replace your headliner; now you have fixed your truck headliner then you can put it back into its original position. You are going to need to put this at your roof of the truck around the centre of it and then carefully connect the rest. You will probably have a lot left over so you can cut the rest.